Or "My kingdom for a quicksave button." It’s the week of unfinished reviews, eh? 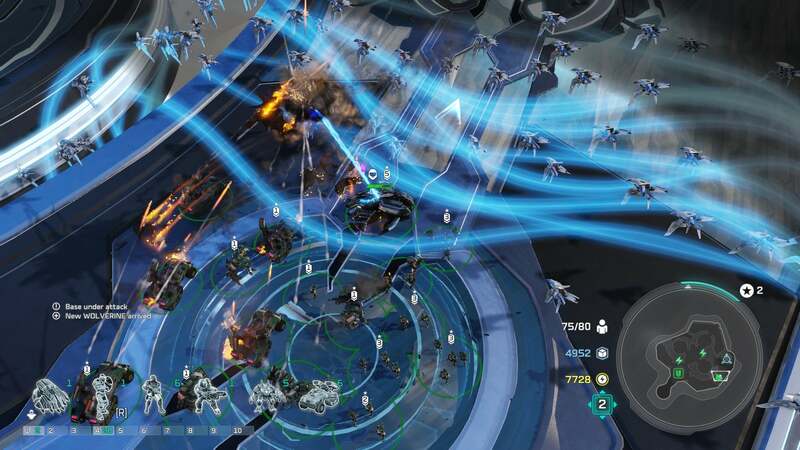 After trialing For Honor earlier this week, I’m back with some impressions on Halo Wars 2. Again, initial impressions, not a full review. Given that the Windows 10 version only went live on Monday and that its multiplayer servers have been entirely dead, I just haven’t spent enough time with it to feel comfortable slapping on a score yet. And I almost passed up writing about it today, but there don’t seem to be many PC-centric impressions published and there’s stuff worth talking about. Please keep in mind: This article is going to slant mostly negative because I’m specifically talking about the problems I’ve encountered. Despite those problems, I’m having a fairly decent time with the game’s campaign so far and looking forward to playing more of the fast-paced Blitz mode now that the multiplayer servers are populated. Those are aspects I plan to talk about more in my full review. But with the game officially released today (to “Ultimate Edition” purchasers) it’s worth a quick post on the game’s myriad issues. There’s plenty of time to focus on the positives later. We can start with performance, which (with Nvidia’s latest driver update) is mostly good on my Core i7-5820K and GeForce GTX 980 Ti. I’m pretty shocked I need a “mostly” qualifier on there though, because it’s a damn real-time strategy game, and not even a particularly strenuous one like Ashes of the Singularity. 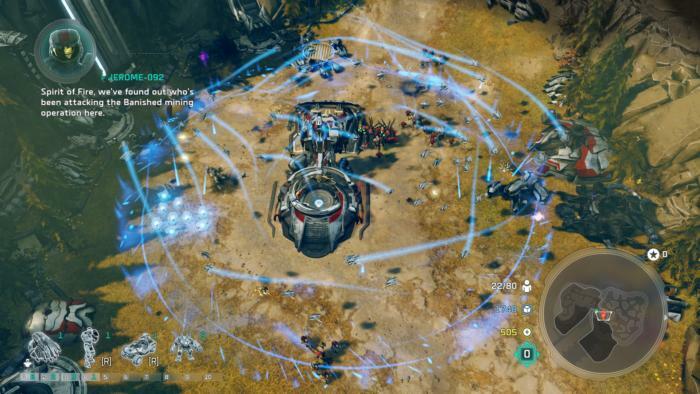 There are never that many units on-screen, nor are the maps any larger than what you might expect from StarCraft or Grey Goo. And yet I’ve had numerous instances where performance stuttered mid-mission. It’s particularly noticeable when coming back from any in-engine cutscene, with hitching motions and weird visual glitches (partially-loaded geometry, vanishing units, et cetera) as the game relinquishes control back to the player. It works most of the time though, and honestly isn’t the biggest concern I’ve had. For that, we’ve got to delve into how Halo Wars 2 plays moment-to-moment. The most frustrating issue I’ve noticed concerns the AI of your own units. It’s just so, so stupid sometimes. 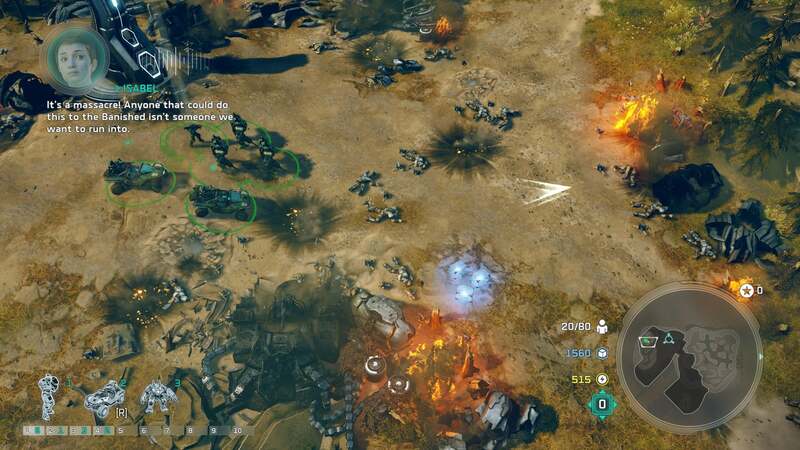 Here’s the most reproducible error I’ve seen: 1) Take a large and varied group of units—some infantry, a few Warthogs, and maybe a captured Wraith. 2) Order them to attack a structure. 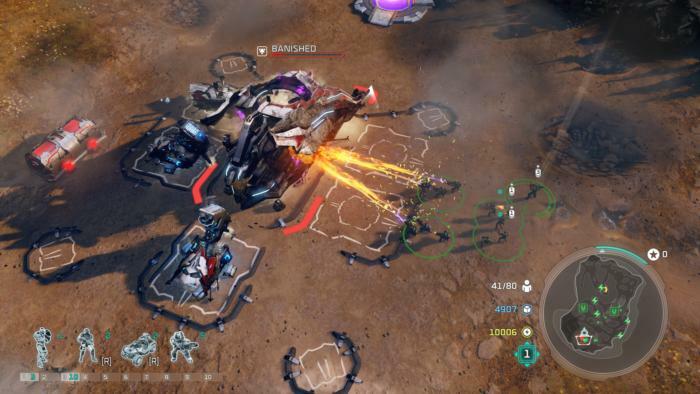 3) Notice that your Wraith, despite being ordered to attack, gets stuck behind your other units, just barely out of range of the thing you’re attacking, and thus decides not to fire on the enemy whatsoever. 4) All your soldiers get shredded apart while your Wraith driver sits and watches. Units also—not always, but just often enough to make you irate—have a tendency to ignore enemies who they should maybe be paying attention to. This is particularly painful when a rogue group of Banshees flies in to raid your HQ and the anti-air units ten feet away on the other side of the base just hang out and do nothing. Or when enemy snipers have a fog of war advantage, attack, and since your units “can’t see” the enemy they do nothing. I’ve lost entire squads to a single sniper when I thought a battle was in-hand and didn’t think to check back on them until too late. And then there are the control issues. Despite having full mouse-and-keyboard controls, I have some real issues with a few commands. For instance, to zoom in and out you need to hold the Alt key first. Result: You’ll never remember this, and thus never zoom in and out. Why not just the mouse wheel? Because that’s used to select units within a group, of course! I only found this out maybe seven or eight hours in, seeing as the game never explained it. It’s the only way to select a certain type of unit inside a control group, since clicking on the pictures of the units in the bottom-left corner does nothing—probably because there’s no way to replicate that behavior on consoles, so it just wasn’t included. A few units have special abilities, but all the abilities are triggered with the same key (“R”) so if you have mixed unit types in a control group you can’t use any of their abilities unless you highlight one type in particular. It’ll also use the ability for all those units at once, if you have multiple of the same type selected. This is particularly infuriating in cases where three Warthogs ram a target that would’ve died with one hit. Special abilities are also very temperamental, sometimes deciding not to work even if you only have one unit selected. And you don’t actually select which unit to use an ability on—it just fires at whatever unit you happen to be mousing over at the time. These are my major complaints so far, but there are other smaller problems. None of my Logitech G502’s extra buttons are recognized as valid inputs, for instance—not even the two thumb buttons, which are fairly standard for mouse mapping. There’s also no quicksave or quickload, which is both bizarre and annoying. Again, these are the problems I’ve experienced after three days with the PC version. There’s still plenty to like about the game. The campaign’s structure is about as generic as I’d feared after our hands-on last month, but it’s carried by some decent voice acting and beautiful cutscenes. Blitz mode still seems great. 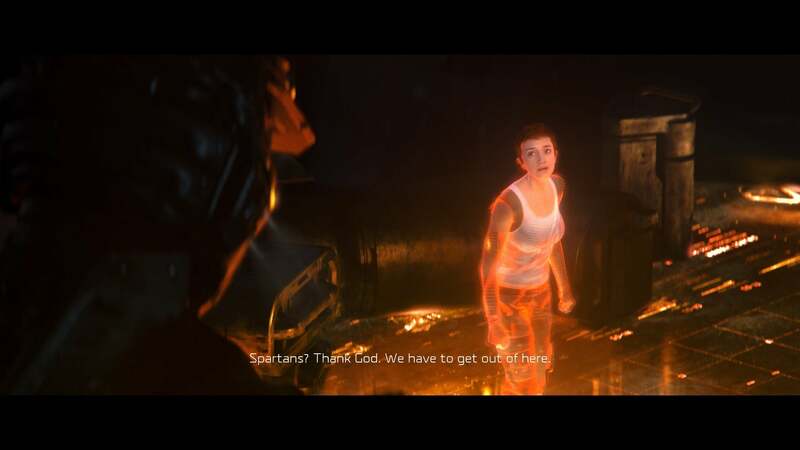 And hey, the whole endeavor still scores novelty points because “It’s Halo, but from a different perspective.” Never underestimate the power of a brand. We’ll have a full review focused on those aspects soon—hopefully by the “official” launch day next week, once I’ve had more time to test out its multiplayer and finish up the last few campaign missions. But with the game technically released today to a subset of the public, I just wanted to bring to light some PC-specific issues for anyone who’s thinking of buying that version. It could use some polish.